Every year I splurge on a big ticket investment for my business. This was significantly easier when I still had a day job because I invested much of my art (extra) income towards getting strategic guidance for how to set up and then grow my business. The longer I hung on to my day job, the more money I had to spend on these services. Which was the first big ticket item you invested in for your business? How did you decide what to invest in first? When I first started my business I still had a day job so I needed to find ways to conserve my time and use my money wisely in order to grow. Part of that is knowing what to do yourself and what to delegate to others. There are only so many hours in a day, especially with a day job! So in the beginning, the first big ticket item I invested in was an Epson printer. For me this made sense because my art print volume was small. Conversely, I made the decision to have my cards professionally printed because I felt I did not have time to print and cut each individual card. For me, this made sense and allowed me to use my time in other areas to grow my business. Unfortunately, after a couple years I was unable to keep up with demand for prints and began having them professionally printed as well. While I no longer use the Epson printer, I still believe it made the process manageable for me in the beginning and was still a wise investment. Do you have an annual budget for these types of business investments? How do you evaluate how much you’re going to spend on big ticket investments? I do not have an annual budget for these kind of items. I evaluate my budget at the time, consider what the return on investment would be and then see if it makes sense to move forward. 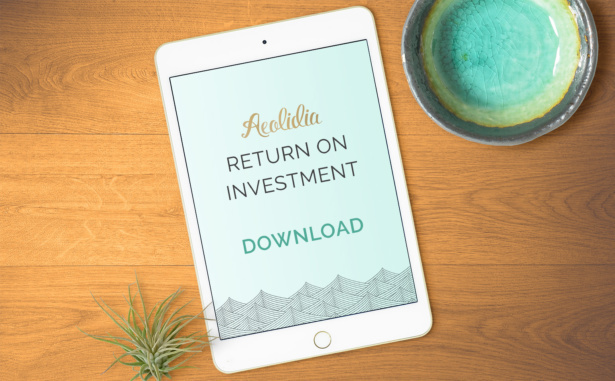 This last year saw a lot of growth so I was able to invest in a new website with Aeolidia, consulting with February 13 Creative, and an iPad Pro to take me in some new creative directions. All three of these recent investments are geared toward growth and a commitment to making my business run more efficiently and effectively. At this point I’m definitely experiencing growing pains so I’m committed to devoting more energy these days to scaling my business. Do you have any regrets about the investments you’ve made in your business, whether wishing you’d waited to invest in something or wishing you’d invested sooner? In the beginning, when you’re first starting out, you don’t have the money to build a custom website, hire a professional photographer, hire a social media manager. But as your business grows, it is crucial to know when to start farming things out. I definitely wasted a ton of time trying to do everything myself! I absolutely should have invested in a new website sooner. Considering how much time I didn’t have to devote to setting up my own website and then making it really work for me (SEO, copywriting, newsletter), it would have been better to get this set up sooner in the process. In your blog post, you mentioned investing in a few different consultants and strategists — do you prefer to use this type of investment on an a la carte basis, and ask questions as they come up, or do you get help via a more formal arrangement, like ongoing consulting or an online course? I invest in consulting services or classes as I transition to different stages in my business. In the beginning I took a class on Atly by Eva Jorgensen of Sycamore Street Press. It helped me understand the stationery business and the details I would not have known otherwise. Over the years I’ve taken many online classes that were beneficial in helping my business grow and have been easy to incorporate into my schedule. Interspersed with online education, I’ve connected with many business consultants over the years. Each helped me grow in different ways. Right now I consider Betsy at February 13 Creative to be the only consultant I need going forward because of her skills, experience, personality and kind heart. Do you have any other tips or things you’ve learned about making big investments in your business? For me, I invested as much as I could while I still had a day job because I knew it would be more difficult to afford when I was on my own! Even now that Little Truths Studio is my full time job, I feel that investing in my business has always paid off. What investments are YOU planning to make in your business this year? Have you made a big investment in your business that’s paid off, or are you planning to make a significant investment in your business this year? Join the discussion in our Shipshape Collective Facebook group and let us know. If you’re considering investing in a custom Shopify website or new brand identity, I’d love to talk to you and learn more about your business goals! Contact us so we can see if we’re a good fit for your business.